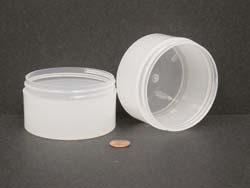 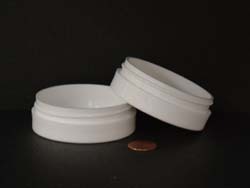 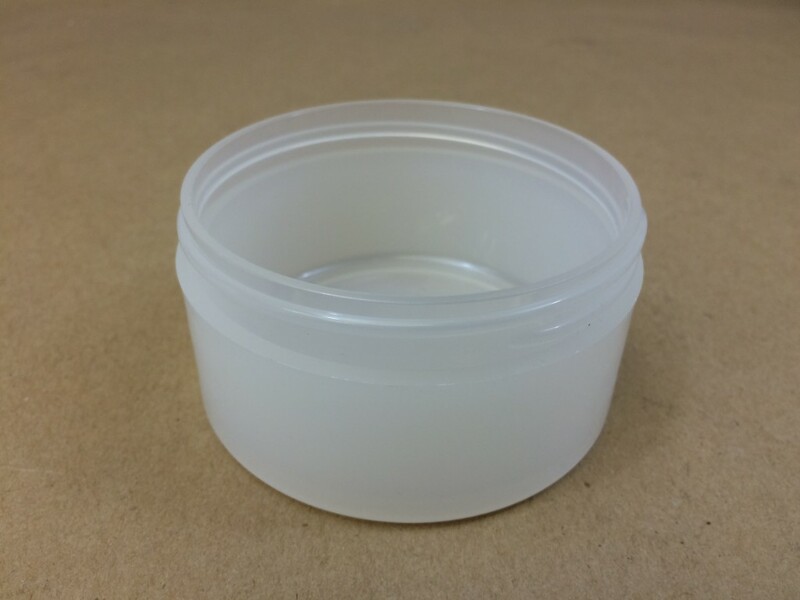 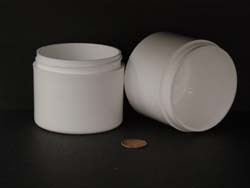 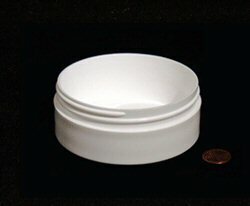 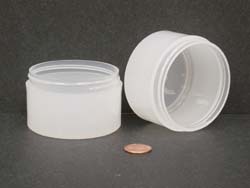 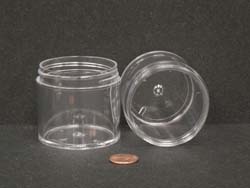 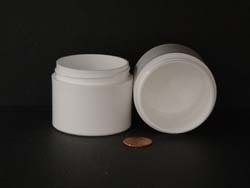 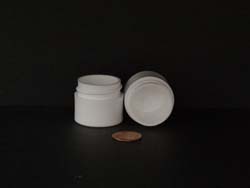 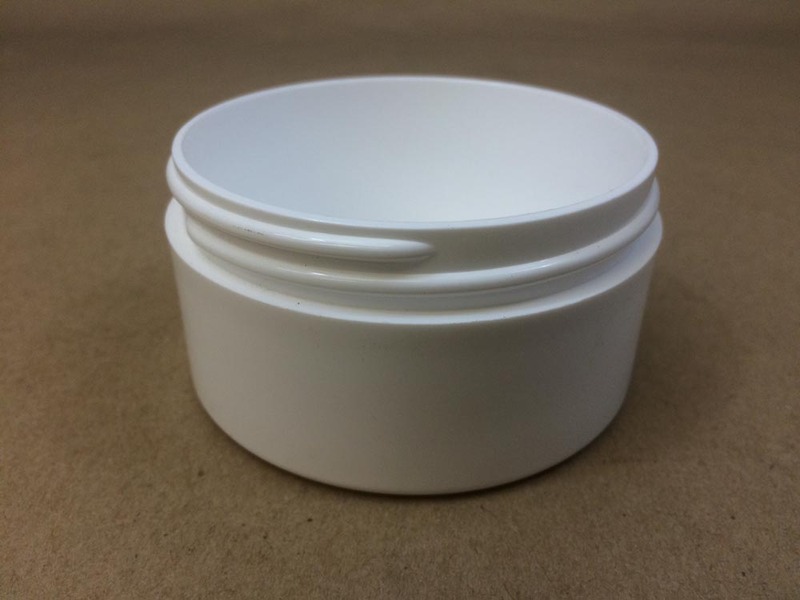 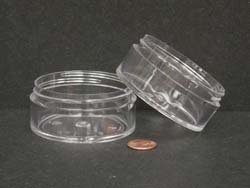 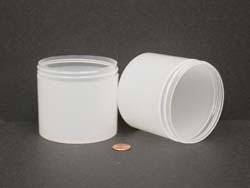 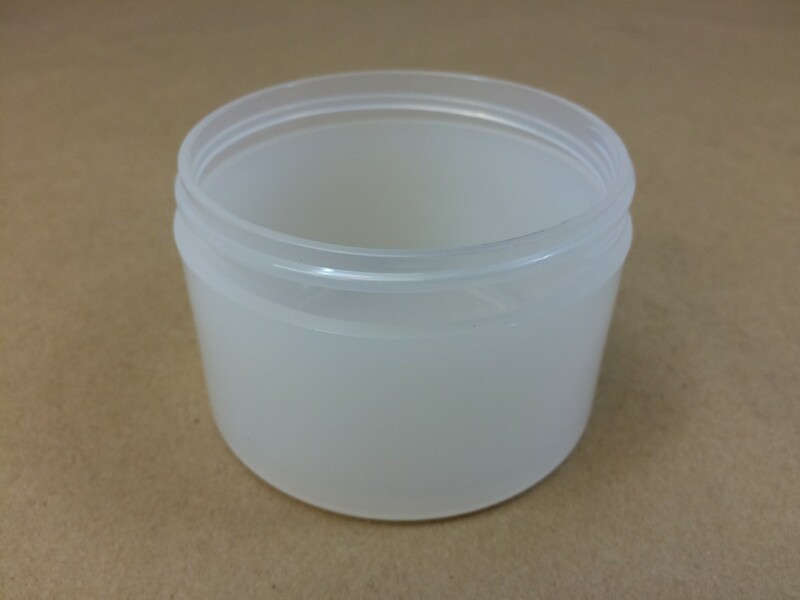 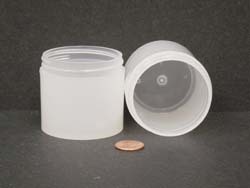 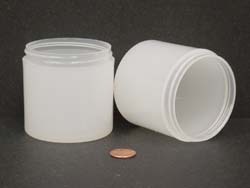 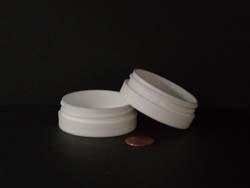 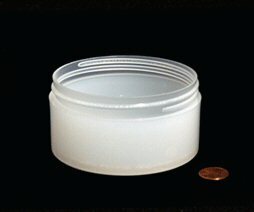 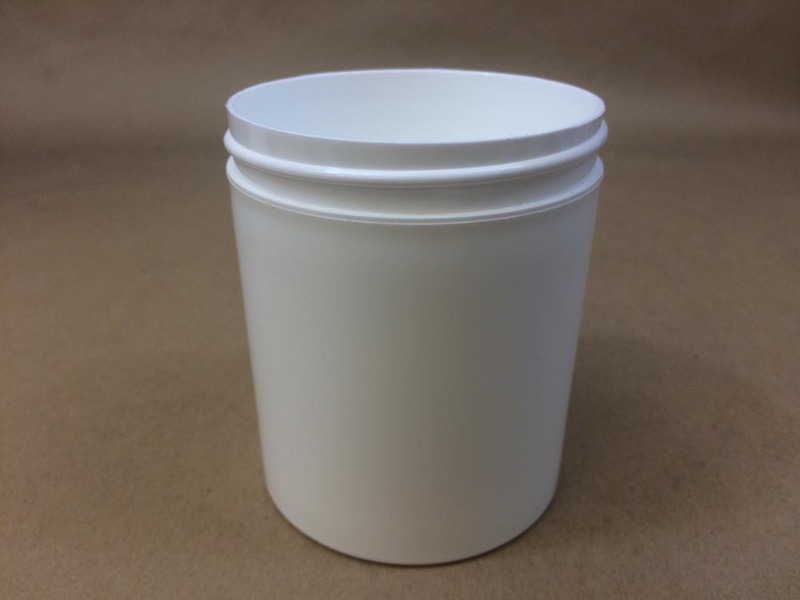 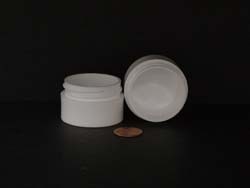 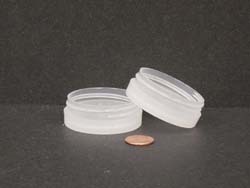 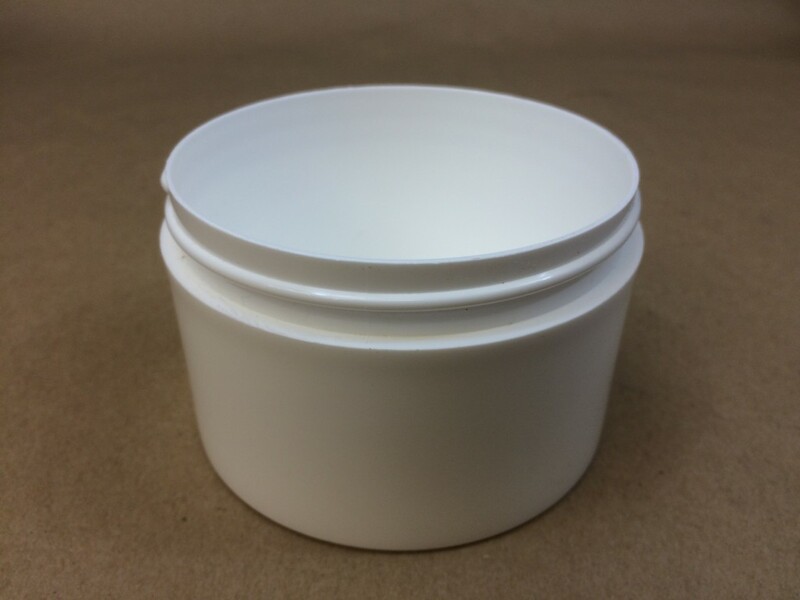 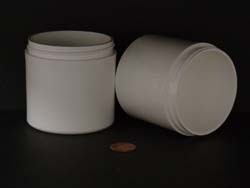 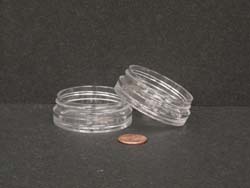 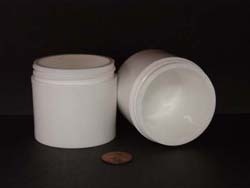 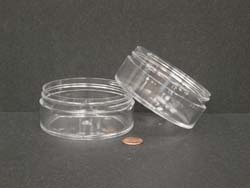 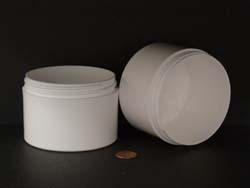 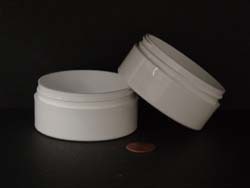 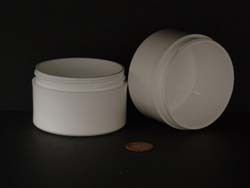 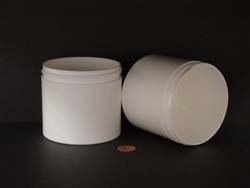 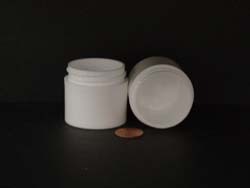 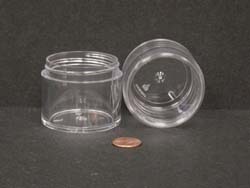 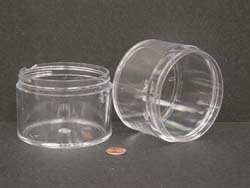 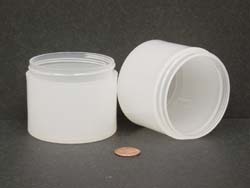 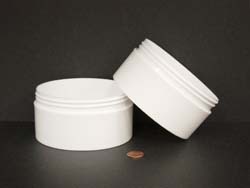 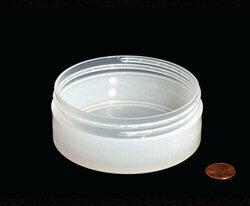 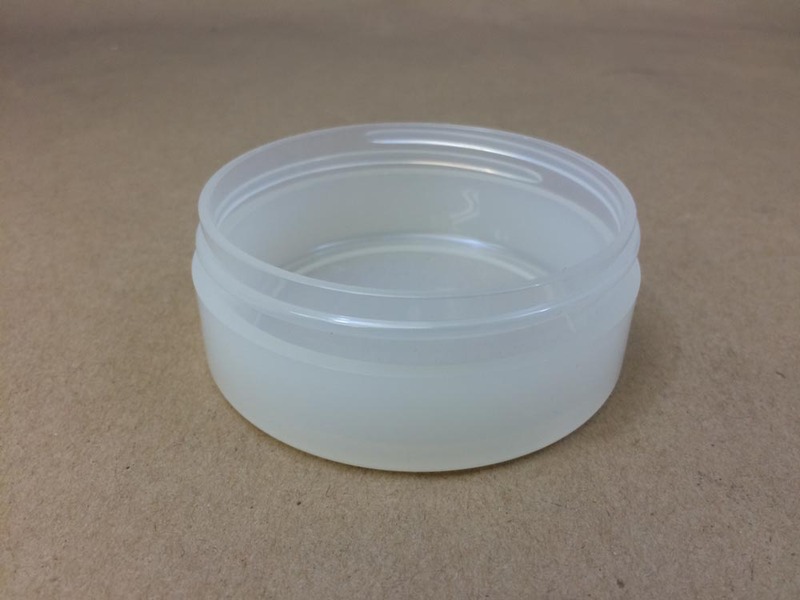 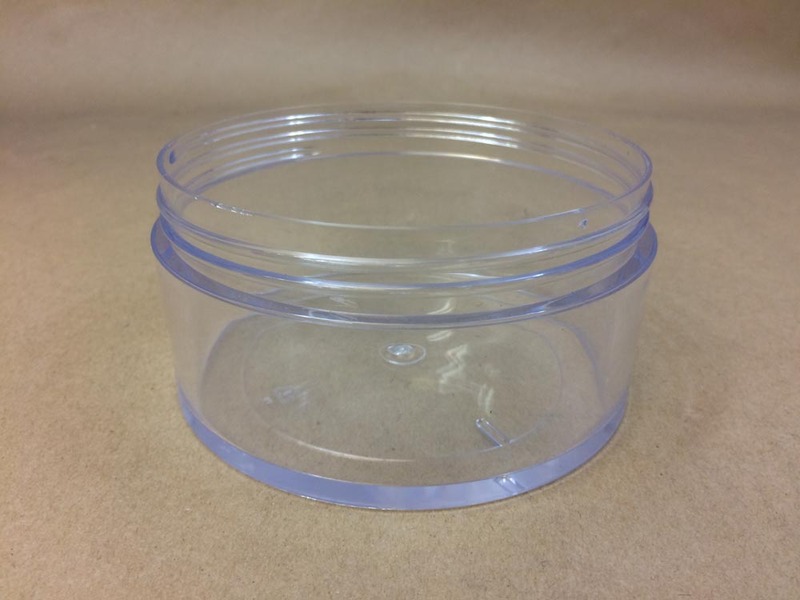 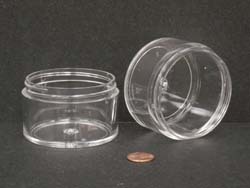 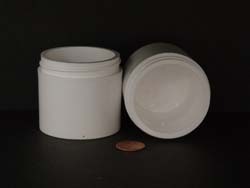 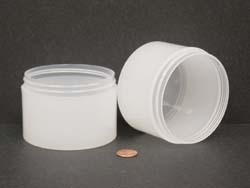 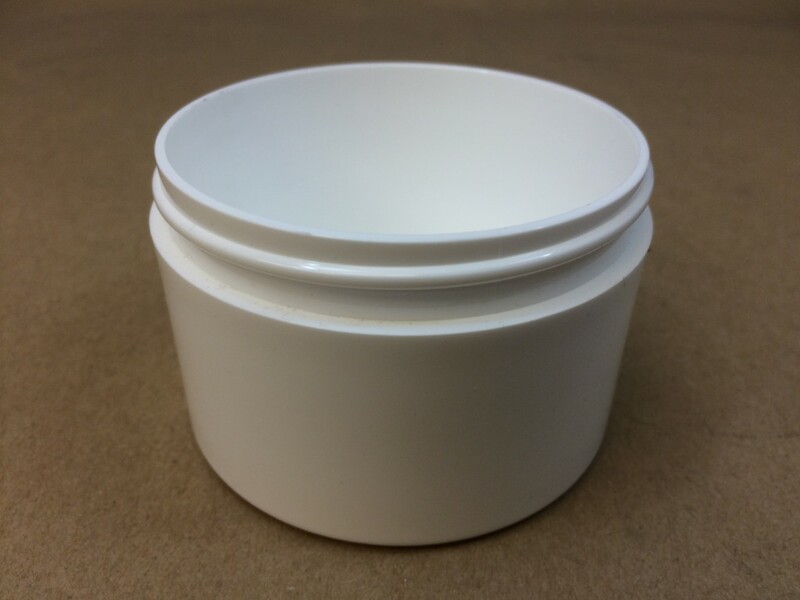 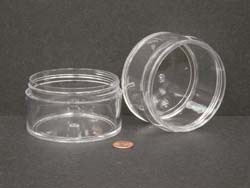 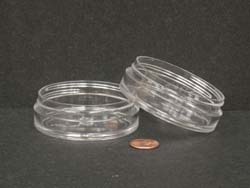 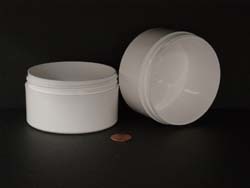 Yankee Containers can supply thick wall jars which are popular in the cosmetic and pharmaceutical industries in sizes ranging from a 1/8 ounce with a 33mm opening to a 16 ounce with a 120mm opening. 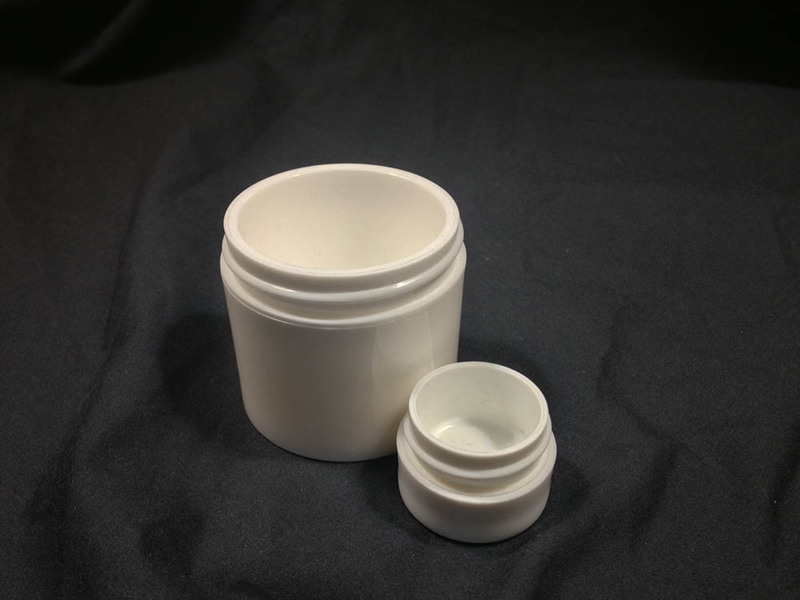 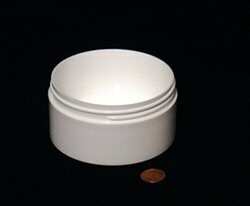 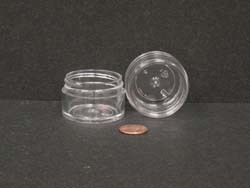 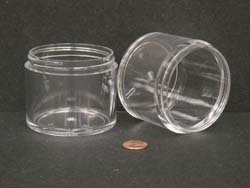 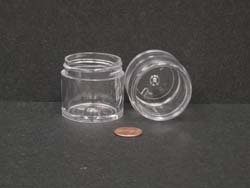 Thick wall jars are an aesthetically pleasing option for your packaging needs. 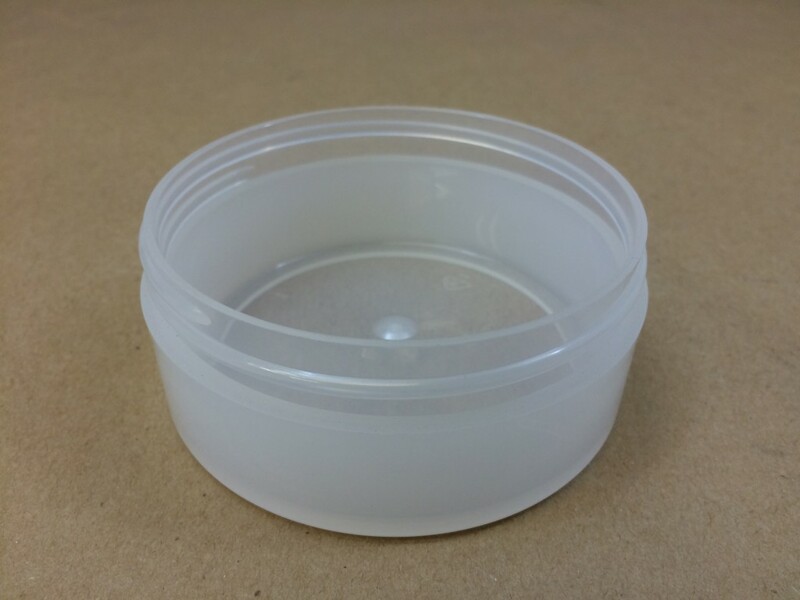 The thicker side walls extend outward to be vertically flush with the cap. 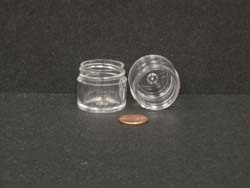 Caps are sold separately for all of the jars. 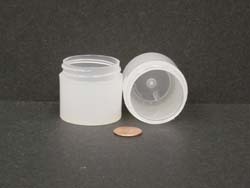 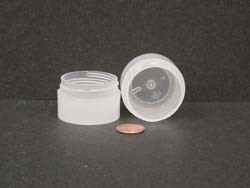 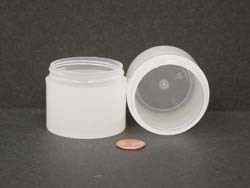 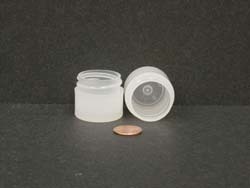 A smooth plastic cap can be paired with the jar. 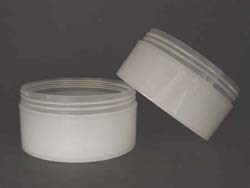 Thick wall jars can be purchased in three different materials depending on your product needs. 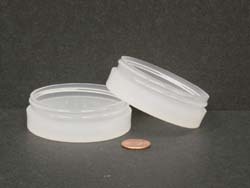 The first is a clear polystyrene. 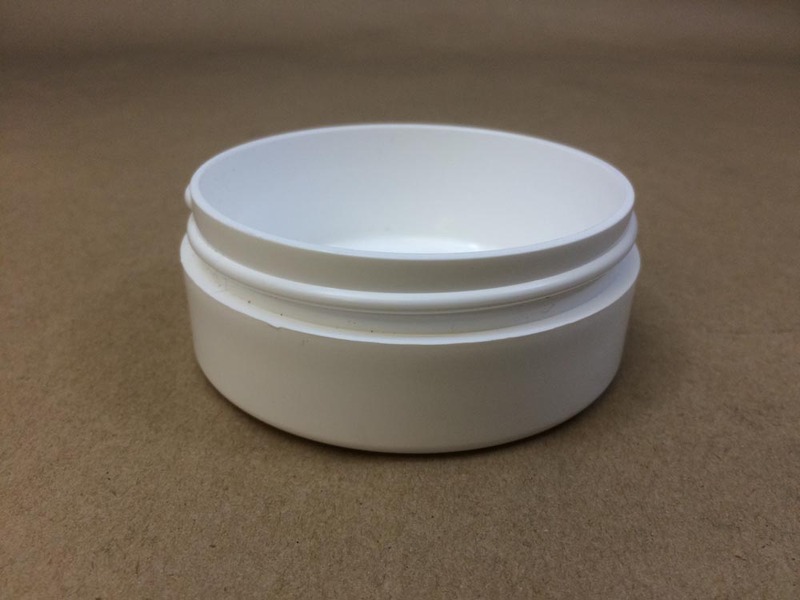 We do not recommend packaging anything with essential oils in polystyrene. 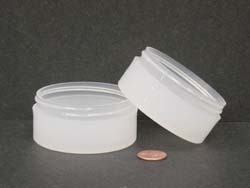 The second option is a clarified/natural polypropylene. 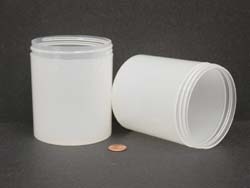 The last option is a white polypropylene. 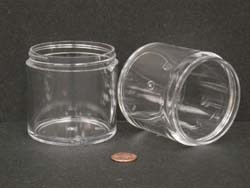 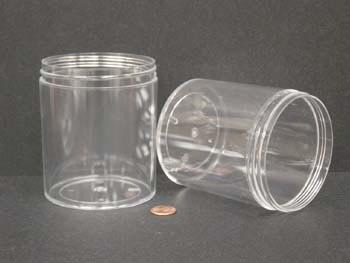 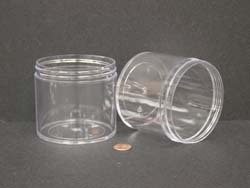 Thick walled jars are sold in full case quantities only and are not returnable as they are a special order item. 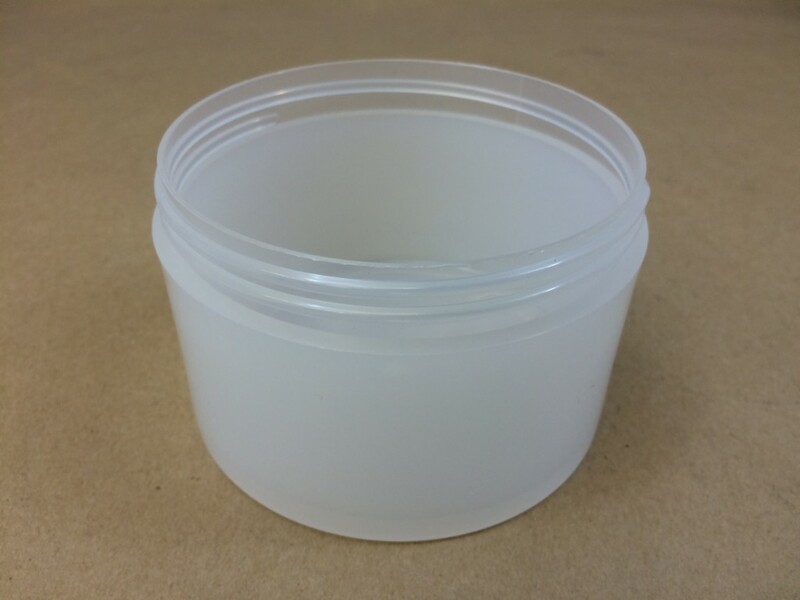 We would be happy to send a sample of a jar upon request. 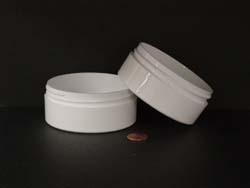 It is the responsibility of the customer to determine product compatibility with the packaging being purchased.